According to the Anti-Vivisection Society, approximately 6 million vertebrate animals—including frogs, fetal pigs, rats, turtles, pigeons, mice, snakes, and cats—are dissected in high schools alone. The total number of animals used for “education” in colleges, middle and elementary schools is unknown. Most of these animals arrive to our classrooms dead, but they have often undergone cruel and painful procedures while still alive. Slaughterhouses, pet stores, and even animal shelters sell pigs, cats, and rabbits to biological supply companies, which sell the animals to schools. Considered “throwaways,” these defenseless creatures are often severely abused and even injected with formaldehyde before they are actually dead. Fetal pigs used for dissection are cut from their mothers’ bellies at slaughterhouses. Most of the animals used in dissection, however, are taken from their natural habitats—often illegally. Invertebrate animals such as earthworms, clams, squid, and a host of other insects and sea creatures are among the most widely used in our classrooms. The cruelty doesn’t end with capturing these animals. 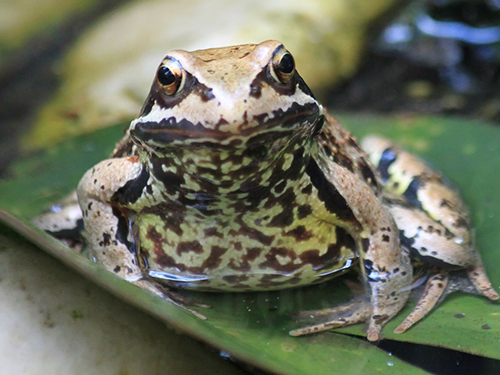 Commonly employed with frogs and turtles, “pithing” destroys an animal’s central nervous system and allows students to observe their physiological processes in action. This gruesome process involves severing the spinal cord of a live animal by inserting a needle into her skull and “scrambling” her brain tissue. The needle is then used to pin the animal’s vertebral canal and immobilize her reflexes. Although a handful of states and some schools have enacted policies respecting a student’s right to say no to dissection, many students don’t know the rules—or feel like they have to participate in cruelty for the sake of their grades. But it doesn’t have to be this way. There are multiple cruelty-free alternatives to dissection that are technologically modern and cost-effective. The Anti-Vivisection Society provides a wide variety of humane education resources through Animalearn, and PETA outlines a number of computer simulation programs that have become popular in classroom laboratories. Even at the highest levels of education, many professors and students have voiced their support for these alternatives—a promising step in the right direction to save millions of animals from horrific, unnecessary deaths. Learn about your child’s right not to dissect and to demand humane alternatives.